On occasion silly thoughts occur to most people. My silly thought, or maybe I should call it a question, is whether the people invested in high risk, sky-high multiple stocks of one-man shows like Amazon and Tesla consider the risk they are taking every night when they go to bed. In the case of both these stocks it could be argued that much of the perceived value of stocks like these are derived from the their association with just one man. Occasionally we see how quickly bad news can create a fiasco and destroy value, these events should be taken as a red flag and a reminder of our vulnerabilities. High multiple stocks pose a risk far grater than most investors think and when a company is focused around one man the risk is concentrated. We can only speculate what would happen to the value of one of these high-flyers if suddenly the link between company and its leader were broken through death or an accident. Currently the market is showing how a rock solid auto company with good profits can be devastated when the unexpected occurs. 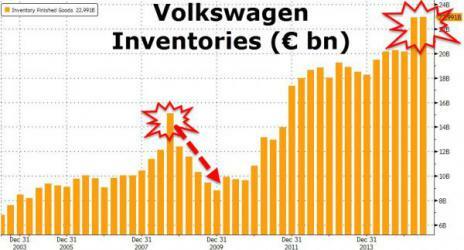 The thrashing Volkswagen stock has taken after investors were blindsided by news its cars sidestepped pollution standards should be taken as more proof of the risk inherent in paper assets. In the example of Volkswagen it may be unrealistic to expect anything other than a dead-cat bounce. It does not take a great imagination to see the problems before the company are of biblical proportions. A huge inventory of cars that can't be sold or must be moved at fire-sale pricing is only one of the problems they face. Governments across the world levying fines and seeking criminal charges also rank high on their list of woes even before we consider lost standing and diminished faith of their product. Possibly the biggest problem Volkswagen is about to face in massive claims from current owners of their cars who mount a class action lawsuit asking to be compensated for many things related to this debacle. Returning to the subject of high multiple stocks imagine a situation where a high flyer is suddenly hit by the unexpected. Often other than a loyal cult following or a stock chart based on momentum the company may have very little to support its valuation. In the case of Tesla you can love the stock all you want, but the obvious elephant is that Tesla stock is trading at incredibly high multiples. Much of this can be contributed to the historically low interest rates and the luck of being in the "QE moment" and not the company's financial success. Ironically it is the bears and those that doubted if the company could hold together that have pushed up the stock as they have been forced to run for cover adding to the image that Musk lives a charmed life. Remember this is a field where many have failed and Tesla is a cash burning machine. Today the stock of Tesla Motors has a market cap of 32.66 billion dollars, by comparison Ford a major auto maker with real profits has a market cap of 54.16 billion. Like Tesla Motors the stock of Amazon defies logic, Amazon is a self promoting hype machine that is far from transparent and has been propelled forward by an environment of cheap and easy money. Add to this blowing shorts out of the market and momentum trading and you have a bubble that could burst at any time. Amazon continues to buy companies, the revenues from these companies add to their growth but mask a key weakness at their core, no real profits. This has only worked because the myth of future profits around the corner has been dangled before investors like a carrot. If Amazon is a distribution company their stock should be trading at around 18 times earnings. When you look for a P/E ratio on Amazon you find NA because the company makes no money. Another thing we must remember is that new competition can cheaply and easily replicate the most profitable parts of Amazon and cherry pick much of their future potential. One thing that really bothers me about society today is the lack of balance. If you rated people on a "wealth chart" by how many tangible assets they owned you might be shocked to find much of the wealth people own is in paper and this is full of risk. This means if a person is playing the markets on borrowed money leveraged on top of that by using a margin account they are in a precarious position. This becomes far more dangerous when involved with high multiple stocks. A sudden downfall or rout in value can quickly become a "free-fall." In such a market where everyone is selling and no buyers step up a person may find they are "kaput" before they can place an order to stop the bleeding. High-flyer, high multiple stocks are a disaster waiting to happen. Yes, it may sometime be called a game, but if you choose to use such terminology remember it is a deadly game where you can be utterly finished, defeated, or destroyed and after it's gone you can't get it back. Footnote; Thanks for reading and please note your comments are welcome. In the archives you may find other articles of interest, below are two post related to the piece above. Occasionally the world has witnessed an unusual alignment of interest that usher in a strong period of growth for a country that is not easily replicated. Years ago Gordon Chang, author of "The Coming Collapse of China," said China may only be growing 2 or 3 percent and if you strip out all the construction going into ghost cities and "high-speed rail lines to nowhere," the economy may not be growing at all. At the time China claimed it had a 7.7 percent growth for the first quarter, Chang clarified his view by adding "But when you look at electricity, by far the most reliable economic indicator of Chinese economic activity, that grew 2.9 percent in Q1. When you consider that the growth of GDP is historically 85 percent of the growth of electricity, you're talking 2.5 percent (growth)." Again recently short seller Jim Chanos said about China, "It’s worse than you think. Whatever you might think, it’s worse,"
It is becoming clear that China is in a situation similar to what America faced in 1929 following a period of rapid growth and credit expansion. To say the economy of China is shaky understates the situation. The type of growth we have witnessed in China during the last several decades has been extraordinary and was driven by several "one time factors" that have played out. It is important to understand many of the loans used to finance the construction of ghost cities, unused airports, idle train lines, and other failed endeavors may never get repaid. Instead, banks continue to roll over these loans time after time. It should also be noted that many of these loans have been made to state-owned companies and local governments. It has become abundantly clear that China’s credit quality started to deteriorate in late 2011 as borrowers took on more debt to serve their obligations amid a slowing economy and weaker income. This has caused a rapid rise in the ratio of credit to gross domestic product. That measure has moved from 120% in 2007 to around 180% at the end of 2012. Such a sharp shift raises concerns about the misallocation of credit on a grand scale, and a build-up of bad assets in the banking sector. Interest owed by borrowers rose to an estimated 12.5 percent of China’s economy from 7 percent in 2008, Fitch Ratings estimated in September. By the end of 2017, it may climb to as much as 22 percent and “ultimately overwhelm borrowers.” Meanwhile, China’s total credit will be pushed to almost 250 percent of gross domestic product by then, more than double the 120 percent figure of 2007. An estimate by the Goldman Sachs Group Inc indicated the nation might face credit losses as much as $3 trillion as defaults ensue from the expansion of the past four years, particularly by non-bank lenders, this far exceeds amounts seen in prior credit crises. This is not just about writing off a few bad loans. Many strong and strange currents run through the Chinese financial system, these include, but are not limited to things like an artificial housing market propelled along by a lack of sound investment options and a massive shadow banking system driven by the low interest on savings offered by state controlled banks. It is pure insanity and a bit naive to think that China's economic system developed over only a few decades both anchored, helped along, built, and mentored by Americas too big to fail banks is ready for prime-time. Instead what is before them is a sea of bad debt fueled by political corruption and a major stimulus response following the 2008 meltdown that has misallocated funds and created massive overcapacity. Remember four big state-owned commercial banks and other, mainly state-controlled banks, account for the bulk of all official lending in China and their customers tend to be state-owned firms, other borrowers are forced to go elsewhere. No one really knows how big the largely unregulated informal lending is, but it has grown rapidly in China during the last five years. Companies and local governments who cannot get loans from state-controlled banks have been on a borrowing binge from these unofficial sources. Shadow bank loans can come across to Americans as some kind of "loan shark" operation because they charge as much as 24-30% in interest and can be for as short a period of time as just three to five days if someone is desperate for cash. The shadow banking sector is so large that concerns exist about contagion and a domino series of defaults that might rack the economy if savers who have put their saving into it lose money. One of China's most notorious shadow bankers is currently in jail serving a life sentence but this does not help those who loaned this person money because of the high rates he paid. The "investors" become victims and often lose everything they have saved to retire on when a shadow bank goes bust. Policy makers in Beijing have said they would elevate the role of markets in the nation’s economy and China’s top banking regulator has urged lenders to “seek channels to clean up bad loans by industries with overcapacity to prevent new risks from brewing” and deal with the issue. Overcapacity is a big problem, a third of the country’s 1,600 shipyards may shut down within five years amid a global vessel glut, said the secretary general of the China Association of the National Shipbuilding Industry, said in July. Ji Fenghua, chairman of Nantong Mingde Heavy Industry Group Co., another struggling “Shipping Valley” thinks this is an an understatement, he said “I won’t be surprised if half of the shipbuilders fail, given the excess capacity,” In July 2012 hundreds of his workers who hadn’t been paid in three months besieged his office building. Many capital-and-labor-intensive industries that have relied on bank loans and policy support for their past success are now in deep trouble. Support for the solar industry since late 2008 has resulted in at least one factory producing sun-powered products in half of China’s 600 cities, according to the China Renewable Energy Society in Beijing. China Development Bank, the world’s largest policy lender, alone lent more than 50 billion yuan to solar-panel makers as of August 2012, data from the China Banking Association showed. China accounts for seven of every 10 solar panels produced worldwide. If they ran at full speed, the factories could produce 10 times more than in 2008, according to data compiled by Bloomberg. This overcapacity has driven down prices to about 84 cents a watt, compared with $2 at the end of 2010, but falling prices have forced dozens of producers into bankruptcy. One local bank now reports a 33 percent nonperforming-loan ratio for the solar-panel industry, compared with 2 percent at the beginning of the year. The real situation is much worse than the data shows because it will take at least a year or longer for many of the non-preforming loans to be recognized by the banks. This overcapacity is seen in other industries such as steel and cement, which are also facing a serious glut. China’s economic planners have sought to rein in the steel industry since at least 2004, when work on a 10.6 billion yuan project in Jiangsu was halted. Even so, the steel association shows annual capacity has risen to 970 million metric tons. China now produces seven times more than No. 2 Japan. About 10 million tons of aluminum production capacity is being built at a time when the industry incurred combined losses of 670 million yuan in the first half, with some producers in central and eastern China facing severe losses. Because of this more than 1,400 companies in 19 industries including steel, and cement have been told to cut excess production capacity this year. This is an indication that the government is serious in pursuing pledges to fix fundamental issues in the economy, but as they move in this direction the financial pain will be brutal. China’s lending spree has created a debt burden similar in magnitude to the one that pushed Asian nations into crisis in the late 1990s. As companies loaded up on debt, the efficiency of credit use has deteriorated. Since 2009, for every yuan of credit issued, China’s GDP grew by an average 0.4 yuan, while the pre-2009 average was 0.8 yuan. This means printing and loaning more money has not resulted in the same amount of growth that it did in the past. It is now becoming clear the 2008 stimulus was not the correct answer to move China forward, but instead it only exacerbated an industrial glut that has been in existence since 2003. To those who doubt just how massive the problems are they only need look to the newly constructed city of Ordos in Inner Mongolia. Most of the new town buildings are empty or unfinished. Ordos is a spectacular example of a new Chinese phenomenon, that now exist in many cities, unsold condos, unleased shops, and building after building of empty office space. 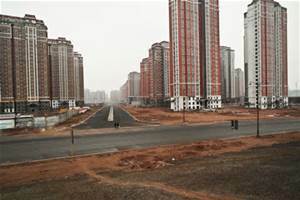 In March of 2012 the BBC ran a story about the city of Ordos, that suggested the great Chinese building boom, which did so much to fuel the country's astonishing economic growth was coming to an end and was a bubble about to burst. This ghost city is by most accounts devoid of people and construction of the half finished project is at a halt. Western financial experts who fear a bursting of the Chinese real estate bubble point out that the Chinese economy still remains more dependent on home building than the United States economy was, before the sub-prime lending bubble burst in 2007. It seems Carly Fiorina barely made it off the ferry dock at Mackinac Island when she was greeted by hundreds of supporters holding bright red "Carly" signs and chanting her name. This was just a preview for the rest of Saturday afternoon and evening for the Republican presidential field's fastest-rising star. At her campaign's first stop at a local bistro Fiorina found it difficult to get through opening remarks without applause and encouragement from her supporters. "It's not that women are better than men --" she said, cut off by a shout of "Yes, you are!" Fiorina then said, "Let me ask you a question -- how many of you saw the debate Wednesday?" The crowd cheered and said, "You won!" 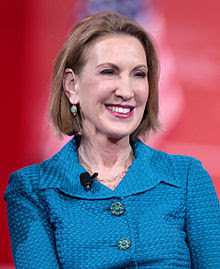 Some task are harder than others, and trying to like Carly Fiorina may prove to be more difficult than first thought. Running up to the election that made Barack Obama our first black President, Americans were able to warm to and even get excited about the idea of electing the young charismatic Senator who vowed to bring about the much needed change that would heal our divided nation. It could be argued that somewhere in the subconscious mind it made many people of non-color feel the issue of racism might finally be laid to rest. It was with assurances from the media telling us to trust Obama because he was the "real deal" and "something special" that many voters brushed aside concerns about his lack of experience. The media has suddenly embarked in a similar fashion on asking that we take a look at Carly Fiorina. America may soon find we are now being asked to take the "feel good" step into voting for electing a woman for the first time to the top office in the land. This will prove to all mankind that a woman can be just as good and capable as a man. The event that has lead to this is what appeared to be a well rehearsed, but passionate and emotional Planned Parenthood rant. It must be noted the attack was centered on and around a highly edited film clip of questionable truth. Following her statement during the Republican Presidential debate Carly leaped higher in the polls. On the heels of her strong debate performance Fiorina has shot into second place in the Republican presidential field and Donald Trump has lost some support, a new national CNN/ORC poll shows. 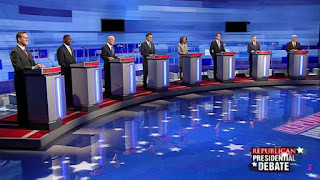 The survey, conducted in the three days after 23 million people tuned into Wednesday night's GOP debate on CNN shows that Trump is still the party's front-runner with 24% support. That represents an 8 percentage point decrease from earlier in the month. Fiorina now ranks second with 15% support, this is up from 3% in early September and places her just ahead of Ben Carson's 14% whose support declined from 19% in the previous poll. After hearing someone say they would vote for Joe Biden for President based on the fact he has been through a tough time and not because his stand on the issues it is amazing that I'm still surprised the public can be easily manipulated. Still it is important to remember that looming out there is Fiorina's jaded history at HP plus a few other stories that haunt her past. Some of her problems appear to be of her own making. Questions will soon begin to surface and the media will play us like a fiddle while generating big ratings in the coming days. Do not expect a "Sweet sweet Carly, world must love you" music video anytime soon, because now that they have pumped her up as a candidate it is very likely the media will begin what they enjoy most, that is tearing her down. 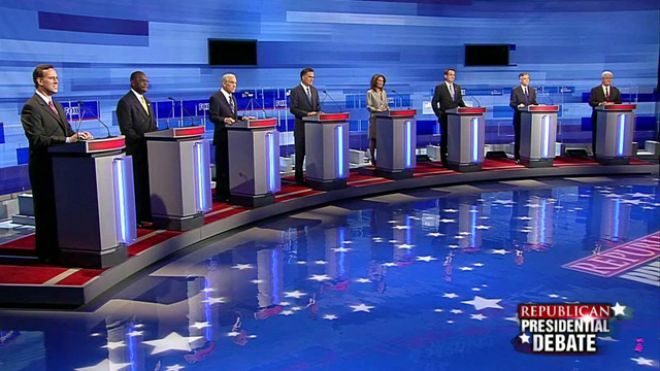 As a major Presidential primary debate is in our focus the airwaves are chock-full of stories about the individual candidates and their prospects. Speculation, spin, and unlimited efforts by the media to influence the decision as to who will become America's next leader is in full force. Sadly, the people who will most likely have the least say are voters like you and me. The political debates highlight a flawed election process. It is around this time every four years that America previews the possible contenders so they can be weighed and measured to see if they have the right stuff. It is also the time that I begin to rile against the flaws and injustice of our political system that is structured in a way that may have been acceptable when our country was formed but has morphed into an inefficient costly mess. To say America has a flawed election process is an understatement. It often results in not putting the best-qualified choice in a position to move on and the decision is placed in the hands of voters in a few early primaries that cast their ballots months before polls open in a state like mine. It should be noted that when we move to the general election the process fails to improve. In the general election, any third party candidate hell bent on making a point can easily derail either party by drawing even a few votes thus having a major influence on who is elected. America’s presidential primary system is far from perfect and its flaws are exacerbated by the influence of the flawed Electoral College that takes over after the general election. While both systems have their supporters, much of this support is based on partisan politics. Reform of both processes would benefit the country to choose better leaders. Winner take all primaries are quick and less divisive to their party but the notion that we should unite behind a flawed or lesser candidate because he or she is better known or financed makes no sense. Another major flaw with our current system is that the announcement of any "third party candidate" can quickly skew the results, these candidates with a message become "a spoiler" that can deny the best choice any hope, this is magnified by the stupidity of our Electoral College. In our current system, the "outdated" electoral college makes the final call on who is elected. This means certain key states and "swing states" are guaranteed to get all the attention and the rest of us will be treated as an afterthought or second class citizens. Over the recent years, we have witnessed countries torn apart by burning, killing and tribal mayhem because the leaders in power stole the election, it should be pointed out that the winner-takes-all attitude is partly responsible for this problem. When the people's voice is ignored and both sides see the stakes too high to admit defeat the system will lose broad support. How ironic that all those constantly calling to crush inequality are busy scurrying about demanding that all votes treated as equal never place this into their line of vision. Across the world, Instant-runoff voting is used to elect those that best represent the choice of the people from positions as the leader of a country all the way down to the position of city mayor. It is worth the effort to devise and support a system that lets the best talent and most qualified work their way to the top. The best way to determine if a system needs change is to look at its goal or purpose. It is logical to think that if a group of intelligent people unencumbered by bias or partisan politics entered a room to devise a better process they would emerge with a far better system than currently exists. Years ago I became enlightened to the fact that a person does not have to know everything, but it is more important to know where to get the right answers, thus again I defer to Wikipedia. On their site they delve into the processes known as instant-runoff voting (IRV), alternative vote (AV), transferable vote, ranking choice voting, and preferential voting. These are variations of systems used to elect a winner from a field of more than two candidates in which voters rank the candidates in order of preference rather than voting for a single candidate. It is interesting that other countries have devised ways to have quick elections and systems based on the runoff process where only the top two choices move forward. In such a system ballots are distributed based on each voters first choice and if a candidate receives more than half the votes a winner is declared. If not the candidate with the fewest votes is dropped and ballots assigned to the eliminated candidates are recounted and added to the totals of those still in contention based on who is ranked next on each ballot. This continues until one candidate wins by obtaining a majority of the votes. IVR has the effect of avoiding split votes when multiple candidates earn support from like-minded voters. The fact is even an incredibly fair and sound plan that substantially improved the process would not have a prayer of getting through our political system because the vested interest of those in power have little interest in such things and hold us hostage. Our two party system and partisan politics tend to gravitate towards a system that eases getting the party's slated candidate elected or blocks an opponent, I reject that goal. We should elect officials that most represent the views and desires of a majority of the people and at the same time protects those on the political fringe. I consider these "winner take all" contests an unfair way to allocate delegates adding to the problem is the issue of timing, by the time my state primary takes place it no longer matters and the choice has been made for me. Our current system promotes the gridlock that polarizes our nation. It is geared in a way that a small active group at either the far left or the far right of the political spectrum gains far too much influence and this often leaves us forced to chose between the worst of two evils. It is time to put each vote on equal footing. Today with instant communication and no area of the United States more than a few hours away by jet the least we can do to improve the election process is to eliminate the electoral college which skews attention during Presidential campaigns to key “swing states”and taints an already lengthy and expensive process. The cost of maintaining this antiquated dinosaur runs a billion dollars a year but no longer yields any real benefit and is in many ways harmful. With our current system, we will again find the election teetering on a few hundred votes in states such as Ohio or Florida. Again we are forced to revisit the issue of Syria because of both ISIS and the refugee crisis. The big surge of Syrian refugees arriving in Europe may be relatively new, but the displacement caused by the war that has forced people from their homes all over the Middle east has been going on for years. Often they spill over into neighboring countries and nowhere is that more pronounced than in a country like Lebanon where one in four of the country’s current residents are refugees. This is causing great hardship and putting the lives of tens of millions of people on hold. The images we see of a constant stream of refugees only highlights and puts a spotlight on the fact that people just want to live their lives in an environment free of fear. After the infamous "red line" was crossed in Syria several years ago, few people have yet to talk about the most likely and only real solution which is to break the nation into two parts. Over two years ago I wrote an article advocating the only viable solution for Syria would be to divide the country, at that time I pointed out if Assad remains in power those who have suffered and been displaced will never forgive him and live under his rule. It is also important to realize a change in ruling factions is not a viable solution in that it would most certainly create a power vacuum and unleash a wave of killings, and reprisals. Remember the Shiite-related Alawites rightly fear an Al Qaeda or ISIS led triumph as the worst possible outcome because these groups would make the mass killing of Alawites their first priority. The secular leaders of the Syrian rebels, clustered in the exile group known as the Syrian National Council, also must worry about the extremist threat of ISIS. Now that ISIS entered the mix we now have a situation where the Assad Government is no longer the only party blocking the road to peace. With Americans tired of war and frustrated after years of spending a fortune with little to show for our efforts we are facing a debate as to which is the "best worst choice" in how to proceed. The media has been fast to point out the complexity of the situation and how muddy the politics will be going forward, no easy answer or silver bullet exist for the problem plaguing Syria and the whole region. Back when the world saw the pictures of dead women and little children killed by a chemical weapon attack Putin stepped in and to his credit helped broker a deal where Asaad, the U.S. and Russia agreed on a framework for Syria to destroy its chemical weapons stockpiles. The U.S. said Syria had as many as 45 chemical weapons sites at the time. Under the agreement, the initial on-site inspections were to be completed by November and Syria’s chemical weapons infrastructure would be dismantled by the first half of 2014. 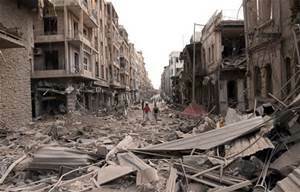 Where few things go as planned in a time of war this all progressed reasonably well, but it did not halt the war and allow Syria to begin to heal. Today not only do we continue to see the pictures broadcast across television screens throughout the world of city streets bombed and blown to smithereens we also see millions of people displaced and forced to flee the war torn region. Syria has become a country far different from what it was when we decided to go into Iraq. Today Syria is not a stable country with a bad leader, it is a humanitarian disaster. The best solution will ultimately be to push towards a breakup of Syria with Assad or one of his people allowed to remain in control of the Alawite area in exchange for freeing the remanding part of the country to rule itself. This would allow the people in both areas to focus on driving ISIS from their borders. Russia and Iran could aid the Alawites in the task while America and a coalition of other countries worked to restore peace to the remaining area. Borders are a creation of man and not visible to the birds flying above. Much bloodshed and many wars could be avoided if the issues of regime change or borders could be handled in a more rational and constructive way, but do not expect this to happen. Borders and political control is a problem that haunts man since before the written word. President Obama and other officials have talked about the legal sanctity of sovereign borders, but in reality this is an argument of convenience for politicians wishing to mask deeper issues of control and power. When it comes down to it people are just pawns in this sad power game. If you doubt this just ask some of the many people displaced from their homes in Iraq, Afghanistan, Syria or Ukraine. Many options exist as to taking action in Syria, thoughts range from, doing nothing to the opinion that intervention is long overdue. Years ago Secretary of State John Kerry called what was happening in Syria a "moral obscenity"and things have only gotten worse. We can only speculate as to the full extent of America's responsibility. During the election on August 20th, 2012 Obama running as a anti-war president drew a red line in the sand concerning how far Assad would be allowed to go before America would end his rule, this galvanized those opposed to him to take a stand. A strong case can be made that Obama's failure to stand by his word has led to their death and destruction. This case becomes stronger when links are made to America supplying weapons and training to the group that eventually morphed into what we now call ISIS. It has become clear that America's decision to keep Iraq as one country following the toppling of Saddam Hussein is coming back to haunt the world. Many factors funneled into plotting this course as those in power tinkered and played with the experiment of nation building. The two most notable elements being their love of sovereign borders and the second being to make the country a counter weight to Iran. It is now clear the decision not to allow different factions to go their own way has destabilized the whole region and created a breeding ground for what we now know as ISIS. As far as whether America should get more involved in sorting out the mess it created the polls show that most Americans are overwhelmingly opposed to military force or involvement. As Europe and countries around the world have spirited debates as to where to put and place the refugees, more important is ending this nightmare and helping those who want to return home rebuild their lives. Life in a refugee camp will have a long-term negative effect on these people and especially on the children. The people in this part of the world are a hardy bunch seasoned by hundreds of years of war, but millions living in tents and bombed out buildings is saddening and heart breaking. Again, I return to the message at the beginning of this post, few people have yet to talk about the most likely and only real solution, that is to negotiate a way to break Syria into two parts giving those outside Assad's control a safe-place to live after ISIS is driven from the area. The goal of turning back ISIS appears to be something most people of the world agrees has merit, this includes not only those in America, but Russia and Iran as well. Footnote; This post dovetails with many of my recent writings. Other related articles may be found in my blog archive, thanks for reading, your comments are encouraged. Below you will find a piece that delves into the origins and goals of ISIS as well as an article dealing with just how ineffective American policy has been..
Last labor day I wrote the article below. It is relevant to the holiday in that it is about money which is the commodity most of us trade our labor for. Again, I offer it up with some minor updates. Many people work hard for their money and even harder to save a bit of it but they are lulled into complacency when it comes to protecting it. One of the saddest things to witness is when someone who has worked very hard suddenly becomes penniless because an investment turns south. I'm reminded of the story about how many people describe going bankrupt, slowly at first, then quickly at the end. We should remember this market has far exceeded the upside expectations of many bulls while the economy has languished and in many respects failed to regain all the ground lost since 2007. Timing a market top is difficult, the question I put forth is, are we reaching the turning point? 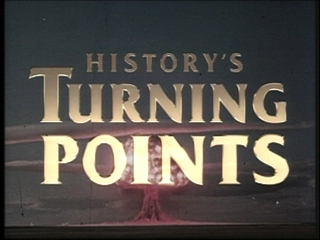 A turning point can signify a historic or watershed event that is looked back on and commented upon for years, market crashes, the great depression, major economic shifts can fall into this category. In the past I have written about the unpredictability of predictions and how a random black swan crashing through your front window plays havoc with the idea of always and never. Currently America and much of the world has been washed along on a wave of freshly printed money and by the momentum it creates. Auto sales have flourished because of super low interest rates, and housing has also been pushed along by artificially low interest rates that distort what might be called the natural laws of economic order. In a free market the law of supply and demand is left to efficiently allocate capital and in doing so determine true market value. By corrupting this force those in power have temporarily masked reality and the serious structural problems within the economy. Washington has failed to make the reforms necessary to make America more competitive, problems have been ignored and allowed to fester. Job creation has been the weakest seen during any recovery on record, not only not enough jobs have been created but the quality of the jobs is poor. Far too common is low pay, none or little in the way of benefits, and many of the jobs today are only part-time. This means consumers are not in a position to spent the economy forward and out of this mess. Massive numbers of Americans have been unemployed forever and a day or simply dropped out of the work force giving the illusion that the unemployment rate while a bit high has returned to an acceptable level, it has not. The decay and harm being done and the toll this is taking can be seen on city streets throughout America as building and houses sit empty and under utilized. The cost of carrying and maintaining this under used resource is staggering. In this environment the burden of caring for a large number of people that need financial help has shifted onto the government, the projections made years ago had not envisioned such numbers. Talk that the budget deficit is rapidly coming down misleads many Americans into thinking that things will be fine, but make no doubt we are still spending far more then we take in. The ugly truth many people choose to ignore is that starting in 2017 entitlements will become the driving force and carry the deficit further into the nosebleed territory. Any claim that the Obama administration has the budget deficit back under control is a total lie. 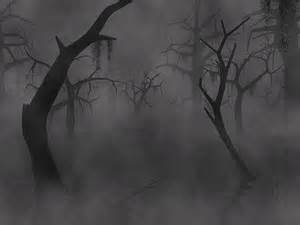 We are mired in the mist of the greatest government debt bubble in the history of the world. Even future budgets based on the most optimistic projections are ugly. Lies and changing rules such as recalculating how the GDP is figured only takes us further down the rabbit hole. Congress is always returning from another break, something most Americans would call "a paid vacation." Again they will confront many of the issues they have continually kicked down the road. Making sense of our massive deficit has become far more difficult in these hard times yet cutting spending remains unpopular with many Americans who want more from their government. Central banks have been printing money for years with mixed results and all indications are that sooner or later interest rates will be rising putting even more stress on a struggling economy. Figures show the rich have grown richer while the middle and lower class have been smacked in the chin. The "too big to fail" banks have become a symbol of what is wrong with America. Again this year let us ice this cake of "difficulties" with a mix of troubles brewing throughout the world. Last year it was the drumbeat of war in Syria, Iraq, Ukraine, and many other hot spots. Currency games, the carry trade, and money rapidly flowing across borders coupled with computer trading that had distorted the markets. Today we can add to the list China collapsing in debt, ISIS and an unstable Middle East, as well as a wave of refugees flowing across Europe fleeing death and destruction. Forget all the hocus-pocus from the media and clowns about what historically is the best and worst months for the market or how well the market does when a certain team or party wins this or that. This bull market market has gotten long in the tooth and exceeded the average length they normally run, caution would be in order. It might not be a good time to go double or nothing. Footnote; As always your comments are welcome and encouraged. If you have time check out the archives for other post that may be of interest to you. The post below takes a closer look at the quality of recent growth. This is a spot check of some of the news concerning the market today. What are we to make of this? Autos lift US factory goods orders in July 21 Hours Ago, New orders for U.S. factory goods rose for a second straight month in July on strong demand for automobiles. The pace of growth in the U.S. manufacturing sector slowed in August to its weakest in over two years, according to a report released on Tuesday. Above are the same kind of reports we see and face everyday. These goofball stories are hurled at us daily, they point out unastounding facts such as "for a second straight month" or "weakest in over two years," but all in all it seems that considering the massive amount of money that has been spent by governments nothing is really happening. With the markets still in the area of its historic all time highs it seems the economy is going nowhere fast. Reading between the lines a strong case can be made that we have an economy based on auto sales driven by sub-prime loans and low interest rates. I mention the "interest rates" because a common topic in most pieces like those above is how current conditions will most likely cause the Fed to delay changing policy. Couple this with low end job creation and slumping manufacturing and it is hard to be greatly impressed. If anything a person should be concerned about what could be signs of a sharp manufacturing slowdown while China struggles and the strong dollar makes exporting American made goods more difficult. While trying to decide if the glass is half full or half empty consider that the National Debt is still growing by leaps and bounds. A quick look at the National Debt Clock shows tens of billions of dollars being added to the total and the amount owed and how it continues to grow. The ugly truth many people choose to ignore is that starting in 2017 entitlements will become the driving force and carry the deficit further into the nosebleed territory. This appears to be raising no red flags as we continue to hear the media tout the myth we can outgrow our problems and how robust economic growth has helped push the U.S. budget deficit down to the lowest level since 2008. To make this more dire America continues to run a huge trade deficit of over a half a trillion dollars a year. It is logical that no country can endure massive trade deficits year after year, it is unsustainable and it is a myth to think that we can "export" our way out of this mess, a myth spread by politicians preaching the "no pain" method of solving a problem. The simple answer is that Americans must begin to accept reality and cut back their purchases of foreign goods. A common claim is that if the dollar goes down that helps U.S. exports so it is a good thing, but remember this is a double edged sword, a lower dollar means imports will cost more. When we put them all together what we should make of all the news articles like those above is they are a warning of a system that is broken and the path we are on will not end well. The words illusion and mirage are both very interesting and can conjure up strong images. Both these words may be relevant to the financial markets of today that in many ways have grown far less transparent due to speed at which transactions occur and the complexity of our modern world. Often when we look behind the curtain we find the products of sophisticated traders are highly leveraged and stack layers of risk upon the huge amount of risk that already exist. When we mix in the impact of derivatives and its sister "shadow-banking" the water gets really murky. The recent moves of central banks entering equity markets and government pension funds becoming big buyers of stocks speaks volumes as to how the red flags of caution are being totally ignored. Many of the bets placed in the financial casino known as the global market are shrouded intentionally or merely by the nature of the transaction. This can easily move them into the area of "carry trades" or some other highly leveraged trade that could fall into the field of derivatives. Derivatives fall into many categories from futures, options, credit default swaps, and any complex combinations of these. They can also be used to wager, bet, and spectate on a market move or direction. Regulation is difficult and spotty at best in that a derivative transaction in one country might be considered a simple spot trade in another. Many of these transactions that appear on the surface as simple are in reality a bet on a bet on a bet. Remember this is only part of a much larger market that includes hundreds of trillions of dollars in non-reported agreements and private contracts. Nothing can be more disruptive to an economy than cross border money flows and the carry trade. Both these practices have dramatically increased over the years as the central banks of the world have been engaged in the mass printing of money and keeping interest rates artificially low. Such an economic environment screams for gamblers to come forth and enter these games in search of quick gains and easy money. In reality much of this is totally out of the control of central banks, or that of any regulatory agency, but because of their actions it goes on everyday unregulated and indirectly cheered on by central banks throughout the world. Also troubling is that people make money in the process of structuring and selling these agreements. Those in these trades or who buy and write derivatives often play fast and loose with the value of the collateral backing them or flat out lie about it. The central banks and the too big to fail have thrown open the casino doors with low interest rates and easy money and this has allowed carry trades to flourish. It is only reasonable that we have seen an explosion in "highly leveraged recipes for profit" since 2008 when the carrying charge for such trades dramatically decreased. The Financial Time defines a carry trade as a strategy in which an investor borrows money at a low interest rate in order to invest in an asset that is likely to provide a higher return. This strategy is very common in the foreign exchange market. For example, in the period up to 2007 many investors borrowed in Japanese yen or Swiss francs, taking advantage of very low interest rates in Japan and Switzerland, and used the money to take long positions in countries or currencies backed by high interest rates or where it is thought the currency might be particularly strong. The carry trade exploits small differences generally in a highly leveraged environment in the hope of banging out a profit. This means the strategy is dependent on relative stability in asset prices and an adverse exchange rate movement can quickly wipe out the returns from the underlying interest rate differential. This leads some to refer to the carry trade as akin to picking up pennies in front of a steamroller. For years the best example of the carry trade at work in a world of open financial borders can be seen by studying Japan. The yen carry trade reversed sharply in 2007 as global interest rate differentials narrowed. This is what caused the yen to rally against many currencies. In my opinion it is also what has bolstered the yen in recent weeks but I don't feel it will last very long this time. For years a strong yen kept a lid on Japan’s market, as the money flowed overseas. But as interest rates fell around the world, money started flowing back to Japan pushing the yen lower and Japan’s market higher. We sometimes have to wonder just how much the central banks consider this in their overall scheme of economic control. As you can see on the chart below Japan has kept interest rates low for nearly 20 years. The Bank of Japan cut rates to 0.5% in late 1995. The rate has been at that level or lower since then. It’s currently 0%: However, the interesting factor isn’t so much Japan’s rate on its own, rather it’s the rate compared to other country’s rates. For example, in January 2008, Japan’s rate was 0.5% while Australia’s interest rate was 7%. In such a situation it is only logical that traders were borrowing at close to zero and then parking their money in higher yielding Aussie bonds and stocks. It was like getting "money for nothing." However, in most cases today the spreads are much narrower and the trades contain far more risk. In the end when the dominoes known as "world currencies" come under pressure and begin to fall, the direction in which they fall will make a great deal of difference in the financial landscape we are left to face. Many of those involved in over-leveraged schemes might best be described as "too clever by half" if they think they have successfully controlled the risk or removed the implications and problems a default would cause. History shows that following the success of such schemes those who benefit often cannot resist the temptation to return to the well with even a bigger version and try again. In our complex and fast moving global market where money moves across borders in the blink of an eye this adds a huge degree of risk and uncertainty.